Sean Spicer held a tumultuous briefing this afternoon with the White House press corps, but hopefully this weekend will be a little more relaxed as he announced that President Trump will be in Mar-a-Lago (or "the Winter White House") for the weekend, departing on Friday. "It's not a ban": @realDonaldTrump at 8:31 AM yesterday, "If the ban were announced with a one week notice, the 'bad' would rush into our country during that week. A lot of bad 'dudes' out there!" 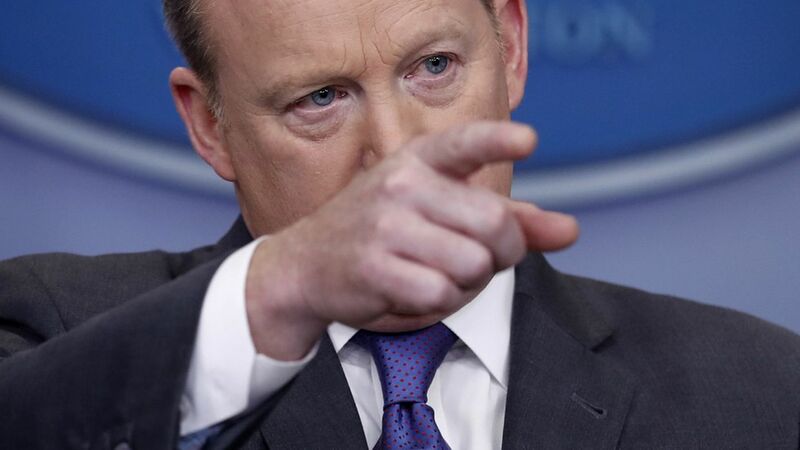 On the battlefield: Spicer dodged the question when asked if Trump still believes in targeting the families of terrorists, but he did pledge that no American citizen would ever be targeted in a counterterrorism strike. On the Yates firing: "This isn't about joining the government to execute your ideas or opinions ... If they don't like it, they shouldn't take the job. But it's the President's agenda that we're fulfilling here." SCOTUS: "We've got an individual that I think is going to have widespread bipartisan support." Spicer deferred to Mitch McConnell when asked if Trump supports the Senate invoking the "nuclear option" for Supreme Court nominees.